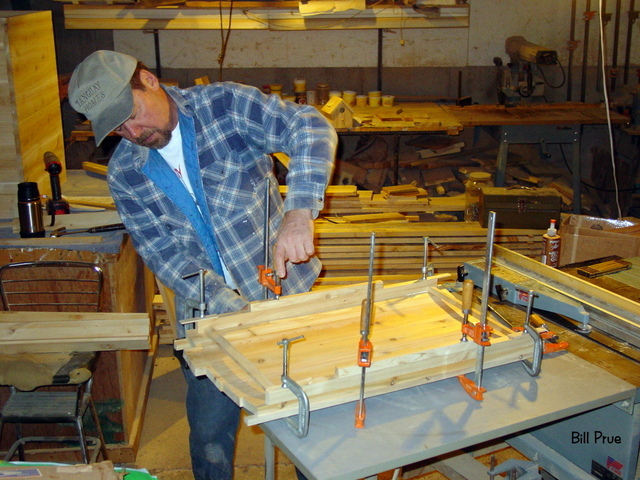 My husband Bill has enjoyed woodworking since his high school days, and actually even before that. He came to work with me in the Christmas ornament business full time in 2003. 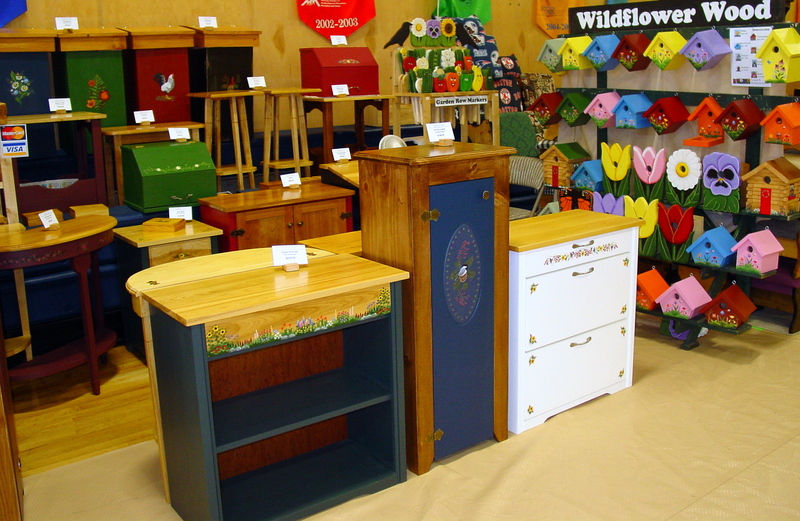 Three years later, we decided to use other skills, combining his woodworking and my painting to start Wildflower Wood. Our furniture and functional wood items are designed and built by Bill using primarily hand-selected native Vermont lumber. These original pieces have a durable polyurethane or acrylic latex paint finish, all lead-free. Then I embellish many of the pieces with original artwork. We currently sell our work at craft shows throughout New England and New York. Schedule of our shows is HERE. Bill Prue at work in the shop.